If you're not a diver, but you're curious about the underwater world, this Discover Scuba Diving (DSD) trip in the Andamans is perfect for you. You'll be trained in shallow water, and will take a fun boat ride to a gorgeous dive spot for your dive. Here, you'll set out into the blue waters of the Andamans for your very first Discover Scuba Diving experience. For Discover Scuba Dives, your dive will be about 45 mins long, and you can go to a maximum depth of 12 metres or 40 feet. 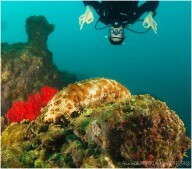 NOTE: This Discover Scuba Dive (DSD) in the Andamans includes a boat ride to and from the dive spot, so will take time. You may expect to spend half a day here. The Andamans have gorgeous reefs, teeming with colourful marine life. 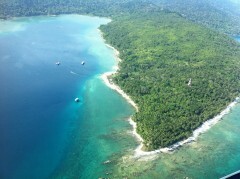 Scuba divers from around the world flock here to go scuba diving in Havelock island. You'll be diving off Beach 2 in Havelock Island, which is one of the most popular spots for Discover Scuba Diving in the Andamans. The beach has teal-blue waters, soft white sand, and is fringed by lush greenery. There is a gorgeous coral reef to explore, crystal clear visibility, and wide diversity of marine life. • Dive in the azure waters of the Andamans. • Take a boat ride over the rolling waves of the blue ocean. • Go as deep as 12 meters/40 feet, depending on your comfort level. 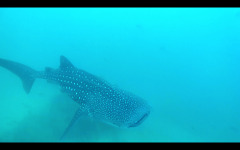 • Swim among a great range of corals and fish. • Learn the basics of diving with expert dive instructors in small groups. You will receive a briefing before the Discover Scuba Diving session begins. These are strictly to be adhered to. Cancellations made 15-29 days before departure of the scuba diving trip in the Andamans: 50% of the total amount is refunded, minus any transaction charges. Cancellations made 0-14 days before departure of the scuba diving trip in the Andamans: No refund provided. Also, no refund for the period of 15th December to 5th of January. You will receive a Medical Form once your booking is confirmed, to ensure that you are fit for Discover Scuba Diving in the Andamans. If you answer Yes to any of the questions, you will need to bring a medical certificate signed by a physician. Without this, you will not be allowed to go on this Discover Scuba Dive in the Andamans. Eat a good breakfast, and report to the dive centre by 07:00 hrs. After filling in the required paperwork, you will receive a short briefing, then head out to shallow water. You'll practise basic skills like using your equipment and breathing underwater for about 15-30 mins, after which you board a boat. You'll be taken out to your dive spot, and will do your Discover Scuba Dive. When your dive is over, you'll be brought back to the Dive Centre. Here you'll fill in some papers and receive your certificate. Your Discover Scuba Diving ends here.